Below is just some of what our clients have been saying! Both Greg, the officiant at our wedding, and Paul, the photographer were fantastic throughout our entire preparation and ceremony! Greg took care of all the details so we had nothing to worry about and Paul took so many beautiful photos with such clarity and artistry! The black and white photos looked great! The colors in the other photos are so “true-to-life”! He knows how to capture every moment of the event and had our pictures ready for us to view within six days of our wedding!!!!! Amazing! This is the company you want to handle the most important day in your life! When you give them a call, you will see what we mean! Greg and Jason were amazing! I worked directly with Greg during the entire planning process, which he made very easy. He was helpful and accommodating. I changed the reception time on him twice and decided to have him do my ceremony music only about 10 days before the wedding – non of these things phased him. Since my wedding I’ve received many compliments about the music. The dance floor was filled all night long!! He played a wide variety of music and everyone was excited to be on the dance floor or suddenly hear an old favorite song. My day was perfect and Greg helped to make that happen. If you want stress-free planning and a packed dance floor, these are the guys. Words cannot express how happy we were with White Rose Weddings. We worked exclusively with Jason and he was amazing! He was incredibly easy to work with and made our day perfect. We got SO many compliments on him and his services. He was always very responsive and answered all of our questions. He met with us in person to go over our wedding timeline and music choices and made sure to listen to exactly what we wanted. The day of he checked with us on more than one occasion and kept the music going and the dance floor full. Highly HIGHLY recommend! I highly recommend them. Very easy to work with and they adapt to any situation as we had rain during our outdoor ceremony. Played the exact music we asked for and kept the dance floor entertained the whole night. Photographer was awesome as well and recommended many different pictures and styles that we didn’t think of. Highly recommend and great price as well. By far the the best dj that I’ve seen at a wedding. Amazing!! I highly recommend working with them. They are very professional and everything ran smoothly the entire night of our wedding. They customize for your special day and are very understanding about any situation. Our DJ went above and beyond to cater to our expectations, as well as our guests. Everyone had amazing time. With all that being said they are the most affordable without sacrificing amazing quality. 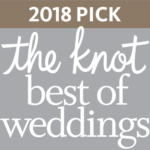 Only good things to say about White Rose Weddings. Thank you!! Greg and Mike were phenomenal from start to end! We planned our wedding from Texas and they worked with us every step of the way. They were readily available by phone or email. Greg worked with our music requests and made the perfect wedding playlist! Mike took pictures from start to finish and was able to deal with our crazy wedding party! I can’t wait to see how our pictures turned out. I truly recommend them!